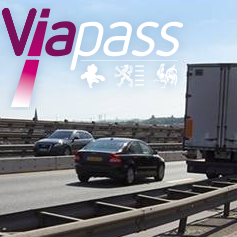 The new coordinating organization Viapass, has announced on its website that the kilometer charge for trucks will go no earlier than 2016. In early 2011, the three Belgian regions reached an agreement on the introduction of an intelligent road pricing for trucks over 3.5 tons and a vignette for cars. Originally the idea was to introduce both systems in 2013, but soon this was found not to be feasible. The preparations for the introduction of road charging is however already in full swing. It was recently announced that a public contract for the development of road charging system for heavy trucks has been officially launched. The aim is to attract a private partner that will design, build, finance, maintain and operate the road charging system for trucks. The kilometer charge for trucks will replace the existing Eurovignette based on satellite technology. Trucks will be equipped with an On-Board Unit (OBU), an electronic device that by satellite can record how many kilometers the truck travels. However, the rates are not fixed yet.